My husband Tom and I made a huge life change in 2012 and moved to Traverse City after living in Indiana our entire lives. I was feeling a little lost and looking for ways to make this new town feel like “home” when I stumbled into Yen Yoga & Fitness. It was like I was literally drawn inside into a sanctuary that I couldn’t believe I'd found. I had been practicing yoga in Indiana, but had never been to a studio like this. I took my first class and immediately signed up for the 30-day Introductory Membership. I tried almost every type of class offered in that first month and discovered types of yoga, like yin, that I’d never even heard of. Since that time, I’ve taken over 880 classes at Yen! As a lot of us in the west do, I started practicing yoga for the physical aspect. I had always been very active and enjoyed all kinds of exercise, but I soon found in yoga a place I had never been. A place where my heart and mind could be whole. A place to heal. I could never have imagined the mind-body connection I would find through yoga in this beautiful studio. I attended class almost every day, sometimes twice a day. I signed my husband up as a member because his stressful work life was taking a toll on him, and I wanted him to find the same peace that I had found. All three of my daughters have been members at one point or another since then and I love attending classes with them! We’ve all been impressed with the friendly staff and the amazing members (many of whom have become our friends)! Picking a favorite class is hard, but I think it has to be the Inspire class, although I do whatever type of yoga my body is calling for. I remember a great moment when my daughter Hilary and I were in an Inspire class on Halloween (which just happens to be Hilary’s birthday) and the teacher started the class with music from the movie Harry Potter (which we both love)! Yoga music doesn’t always have to be “yoga music”! The next step in my journey was to take the 200 Hour Yoga Teacher Training from Yen and get certified as a yoga instructor. The experience was life changing. The bond that was created with this beautiful group of yogis is indescribable. If anyone is on the fence about taking the teacher training just go for it! I originally thought I would do it for my personal practice, but soon a passion grew to share with others. Since earning my RYT-200 I’ve gone on to specialize in children’s yoga and mindfulness, with trainings at Well-Bean in Rockford with Jen Rapanos, Rainbow Yoga, taken the MBSR course, and I'm on my way to getting my CRYT by November! 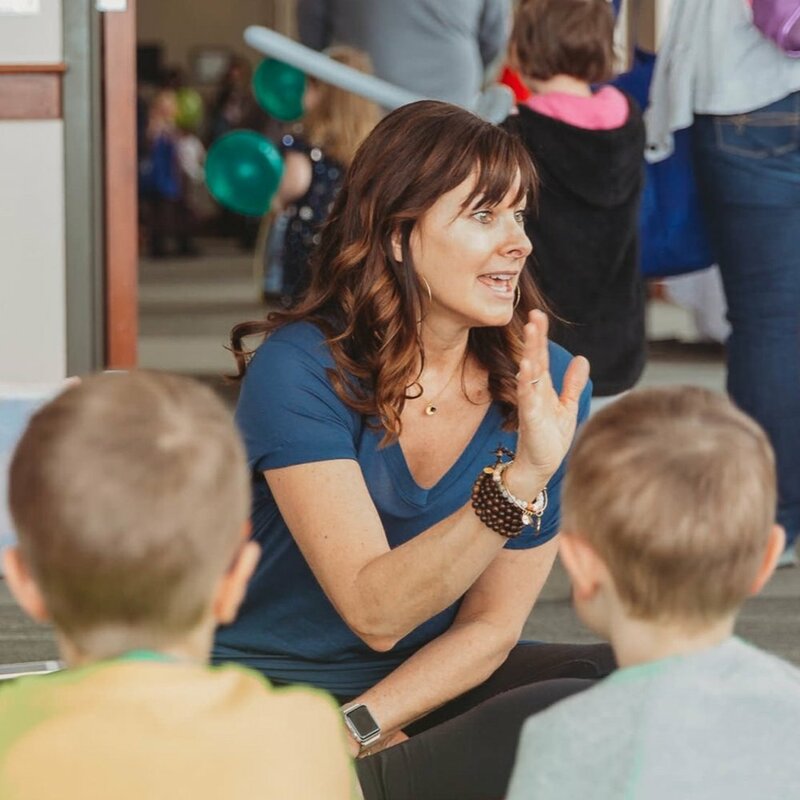 My biggest accomplishment since becoming a member of Yen was when my amazing friend Cathy Fitzgerald and I decided to bring yoga and mindfulness to children in the Traverse City area! If you would have told me years ago when I joined Yen Yoga & Fitness that I would be starting my own yoga career after 50, specializing in children’s yoga and mindfulness, I never would have believed it! My advice to anyone who hasn’t been to Yen Yoga & Fitness is to sign up for the 30-day Introductory Membership and I guarantee you’ll find classes that you love. It’s the best thing I’ve done for myself and it has opened up doors I never knew were there!